I suspect that most atheists already know that Chick-fil-A is one restaurant to avoid. Then again, I am often wrong in making assumptions about what others know. Let's face it, in this complex and rapidly-changing world, it is easy to miss relevant information. So if you have no idea why I would think it is a bad idea for atheists to eat at Chick-fil-A, don't worry. You're about to find out. 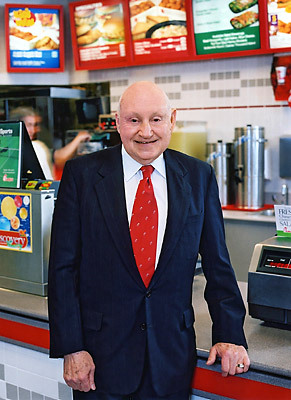 Chick-fil-A was founded by S. Truett Cathy, a Christian whose influence on his company is undeniable. In fact, the company's mission statement notes that the business seeks "to glorify God by being a faithful steward of all that is entrusted to us and to have a positive influence on all who come in contact with Chick-fil-A." Is this a cause you want to support? Moreover, the chain has a long history of promoting various Christian groups, especially to children. Unfortunately, their promotional activities do not stop at Christian groups but extend to well-known Christian extremist organizations such as Focus on the Family and Family First. According to Forbes, Chick-fil-A often includes prayers at company meetings and corporate retreats and has even been known to hold bible study groups in their some of their restaurants. They screen prospective operators for their loyalty, wholesome values and willingness to buy into Chick-fil-A's in-your-face Christian credo, espoused often by Cathy, an evangelical Southern Baptist who says "the Lord has never spoken to me, but I feel Chick-fil-A has been His gift." I'll never eat at Chick-fil-A because I do not want to support any of this. I don't care how good their food might be; there are plenty of alternatives that do not fund Christian extremism.